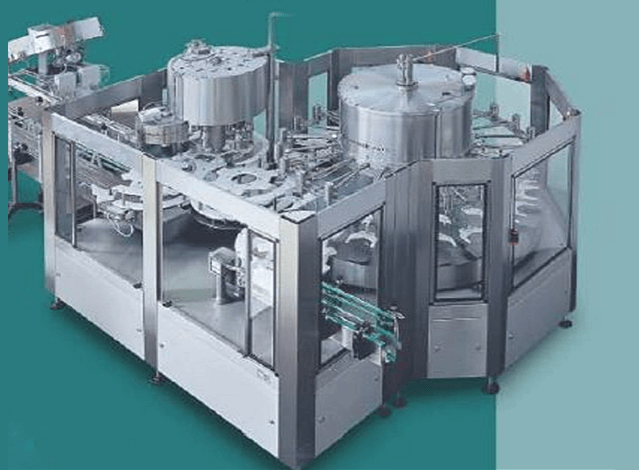 This unit has been developed for extracting various tea-based beverages. 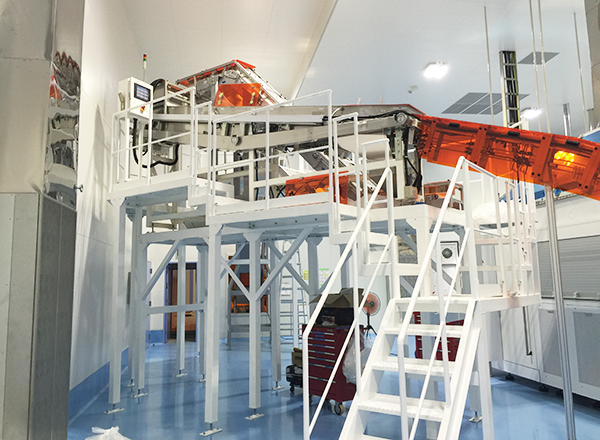 A touch panel allows operators to enter detailed extraction settings tailored to each product. 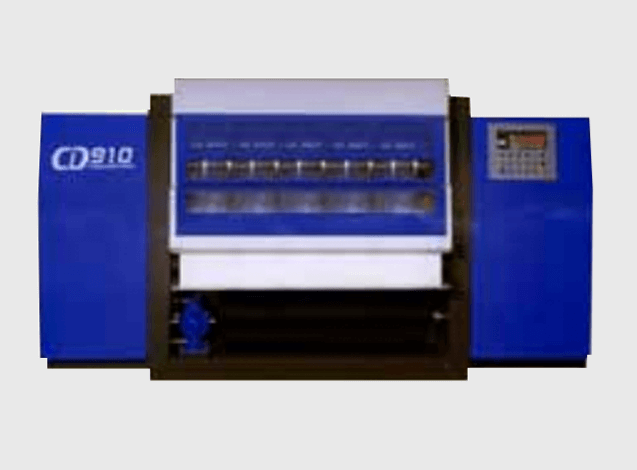 Conditioned extraction data can be registered up to 80 breeds. 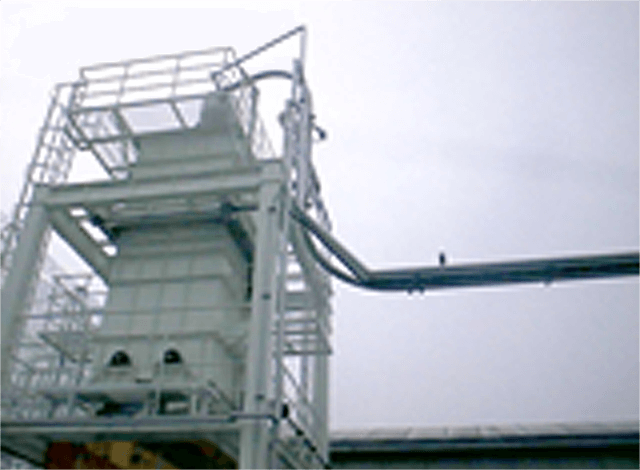 This unit filters tea leaves from extracted liquid supplied by kneader. 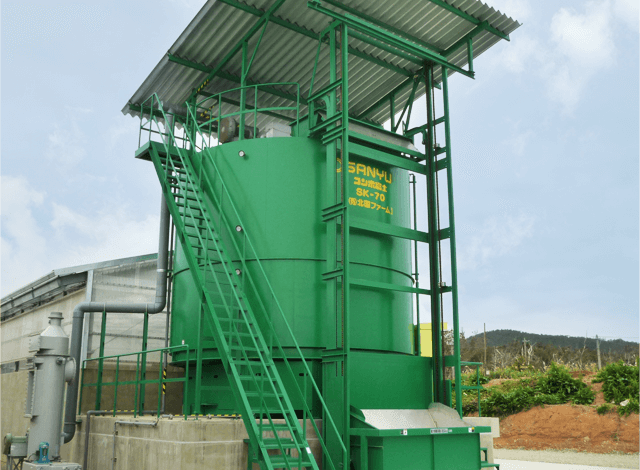 The drive unit uses an oil-less air cylinder in keeping with the clean environments in which this reverse filtration unit is used. 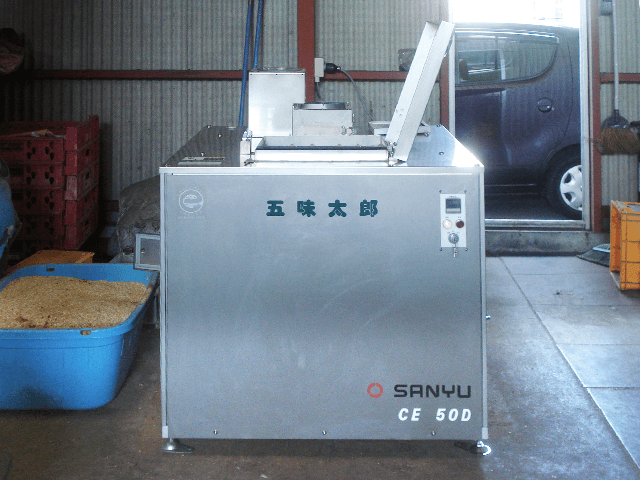 This extractor, suitable for coffee, barley tea, and mixed tea etc.,delivers stable stream of extract. 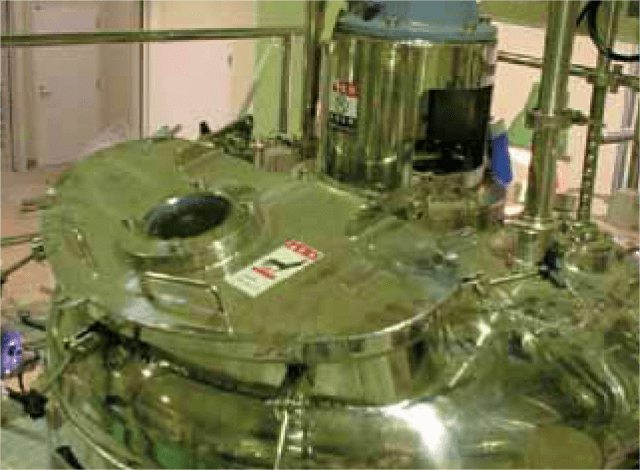 The unit is tightly closed vessel to prevent flavor loss. Spraying by cone nozzles allows higher extraction efficiency. Nozzle height is adjustable. 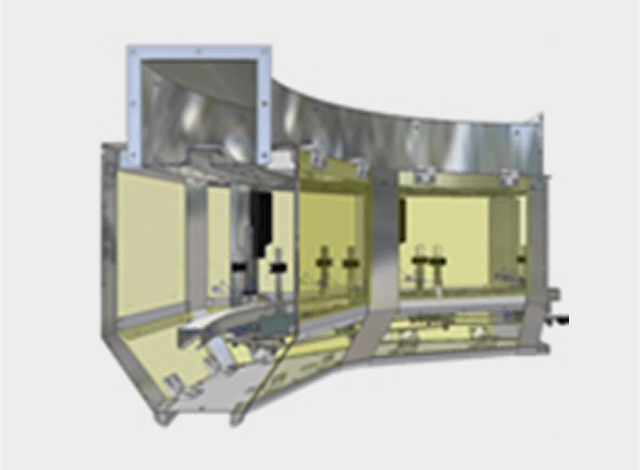 This system transports tea and coffee residue from extractors to holding tank. 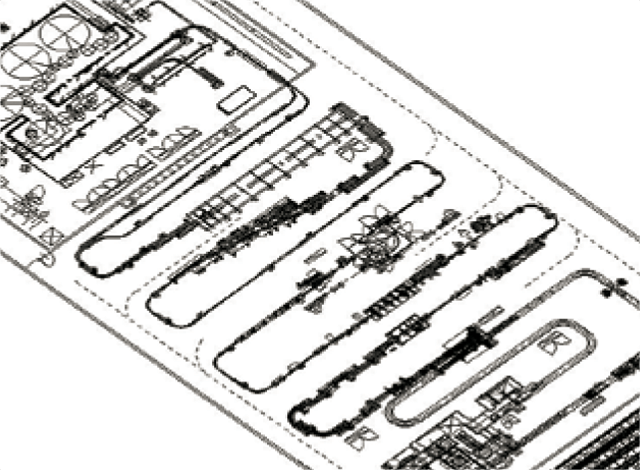 Standard residue tanks keep initial costs low with a choice of two gates: sliding and cutting. 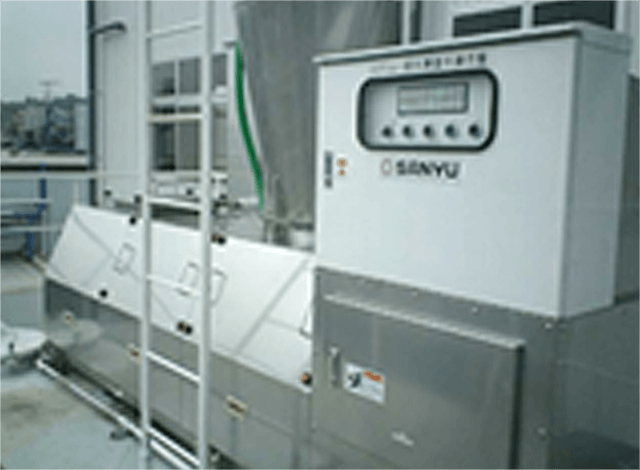 This dehydrator is developed specifically for beverage extraction residue. 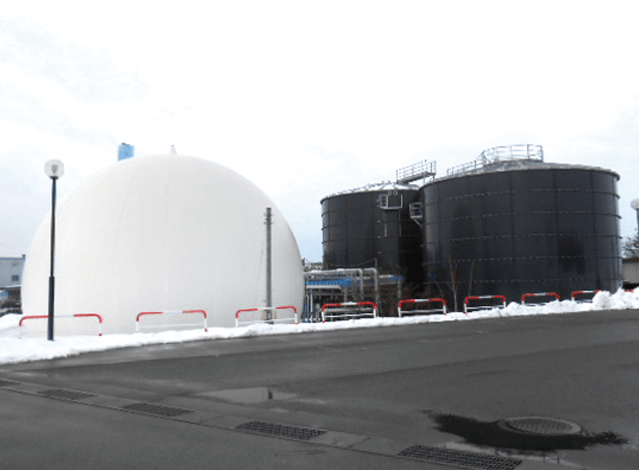 The unit prevents water from accumulating in the residue tank. This unit sprays on the disc surface from the circulation pump through a header. Material adhering to the disc dries as the disk spins. A scraper then removes it. Material not adhering to the disc is returns to the circulation tank for recycling. 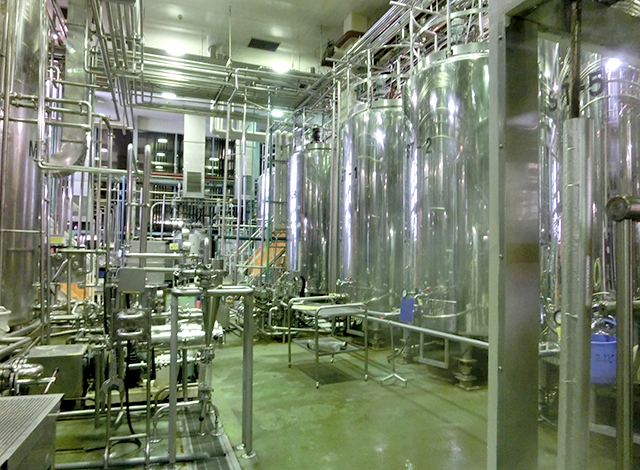 In response to customer requests, SANYU provides total engineering works for beverage processing. 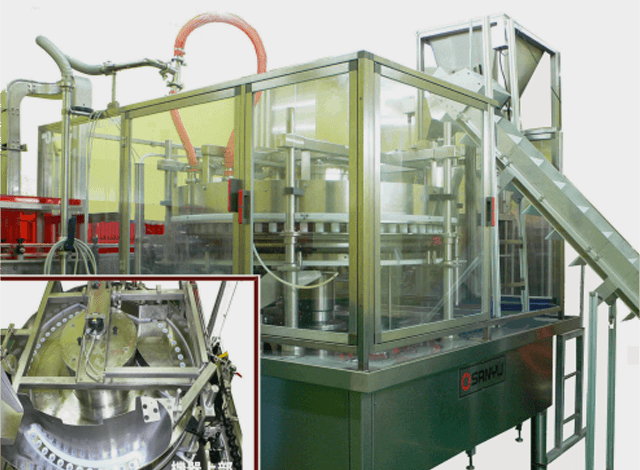 In response to customer requests, SANYU provides total engineering works for foods and beverage packaging line. 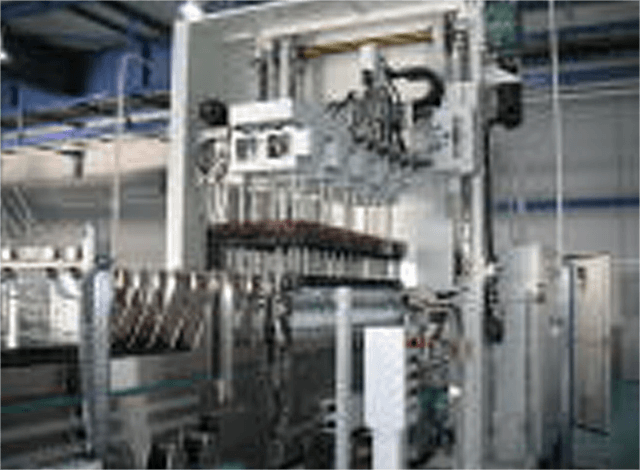 We can supply every machineries for aseptic lines, glass bottle, bottle-shaped can, can and PET bottle lines. 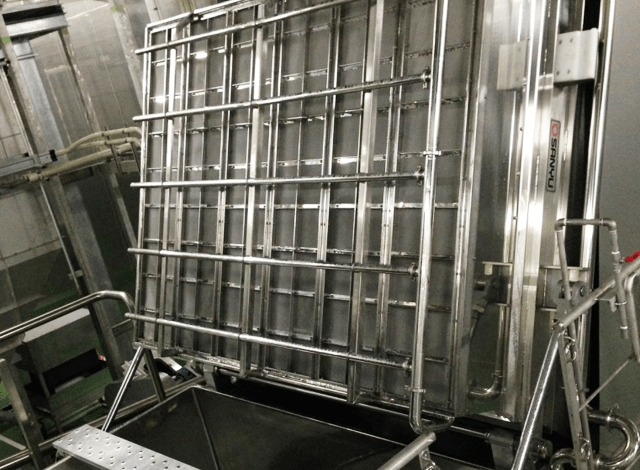 This unit can supply preforms from preform container to belt conveyor automatically under clean environment. Preforms are supplied to unscrambler uniformly and softly. 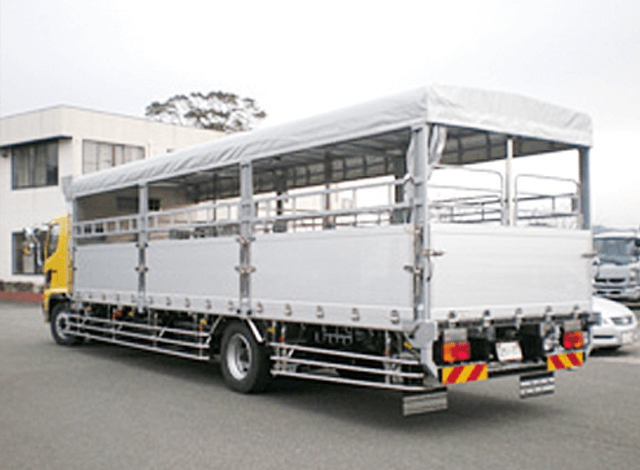 A soft handling mechanism is gentle on the preforms as it supplies fixed quantities. 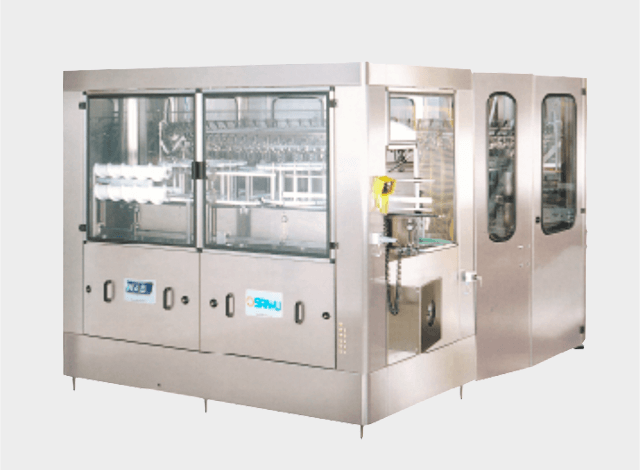 The unit includes pneumatic assistance against plastic inside containers and a follow-up function for the blow molding machine. 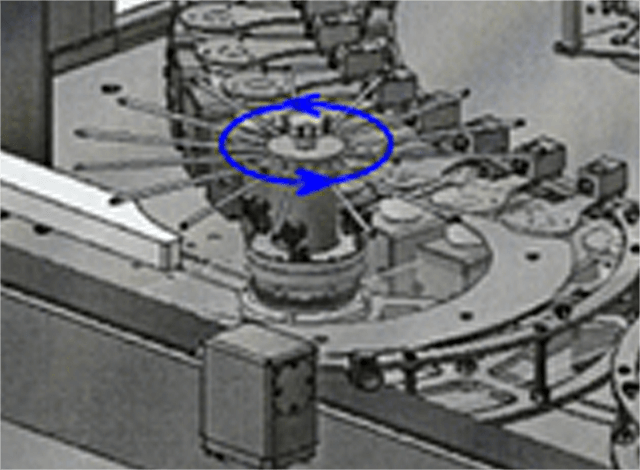 This unit provides independent drive systems, driven by timing belts. Effective injection by synchronized jet nozzle. The amount of gas consumption is lesser than former one. 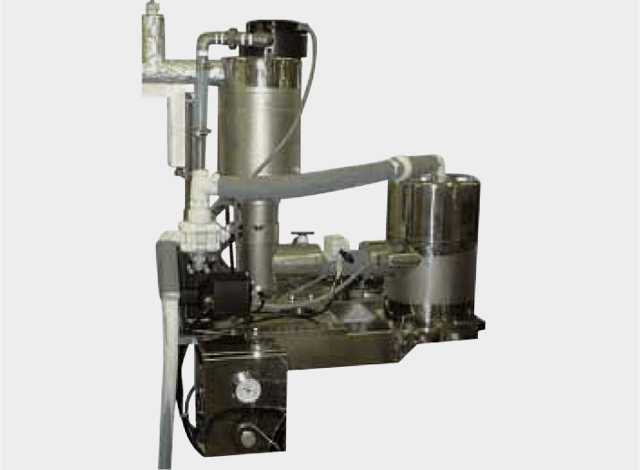 This unit, for non-carbonated beverage cans, injects a fixed amount of liquid nitrogen into the can to increase internal presssure to prevent can deformation. 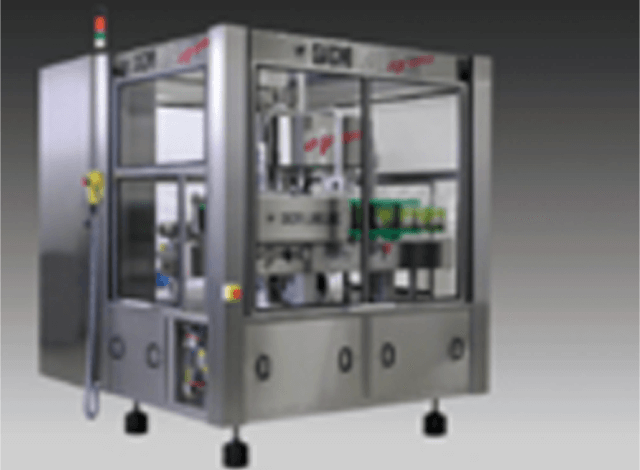 This unit offers a choice of rinsing nozzles ; fixed or prolongable. 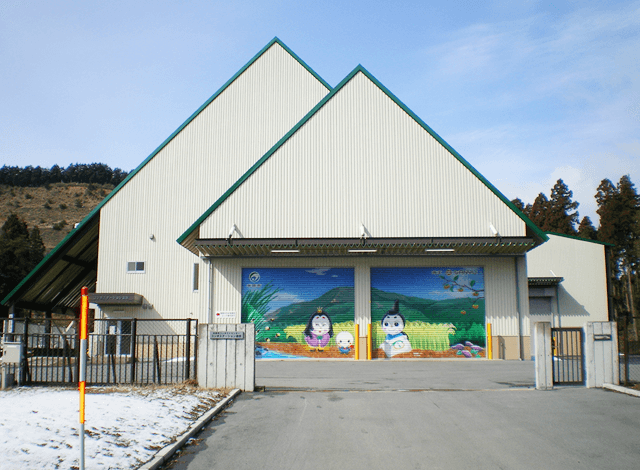 pure water, steam, ozone, chlorine solution, and SO2. Load cell decides filling weight. Filled amount is corrected automatically and minimize liquid loss. This system includes wireless paging. Learning the current equipment status permits faster response and handling. Call priority enables cross-functional notification and certain response. The use of wireless communications removes area restrictions, allowing data collection from anywhere. This unit uses a hot melt glue. 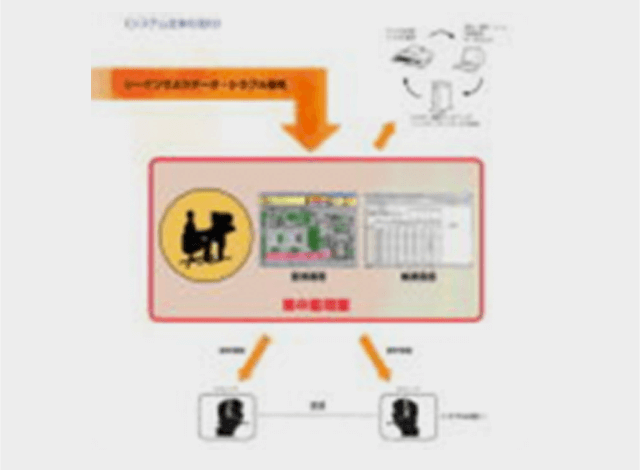 The sequencer and touch panel are made in Japan. Upon request, a servo motor can be installed in the turret. Easy change over system allows for reduced change over time. 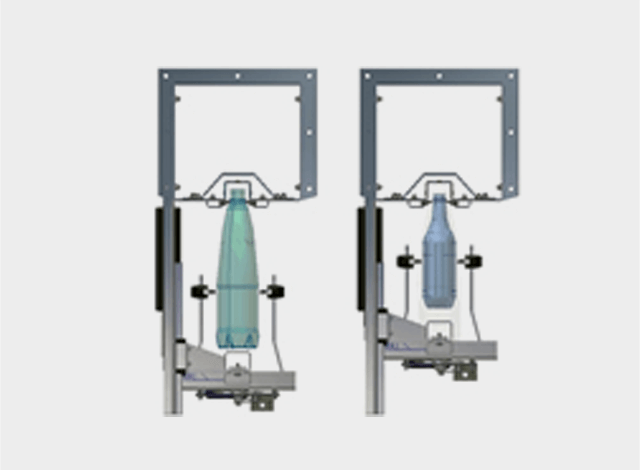 This conveyor transports empty PET bottles by clean air and keep class 100 environments. The guide is adjustable in both the x- and y-directions. 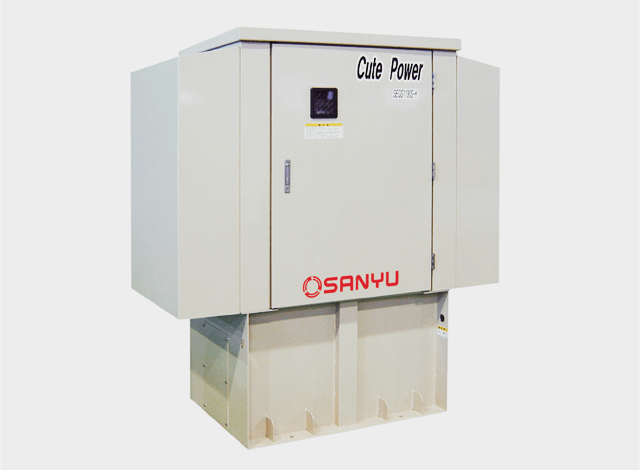 The unit offers automatic size change simply by specifying the neck size: 28 or 38 mm. 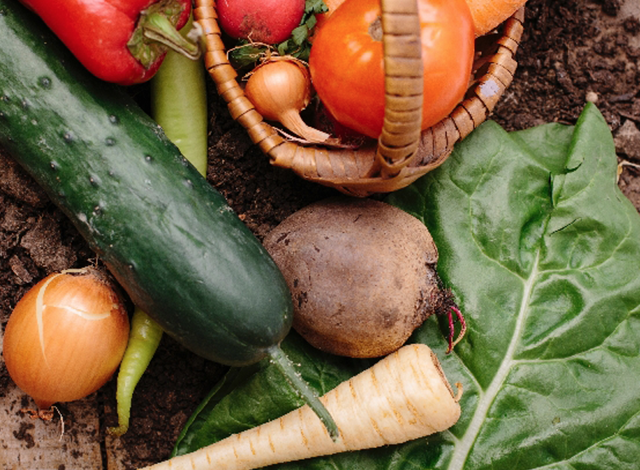 The best solution for organic waste management. 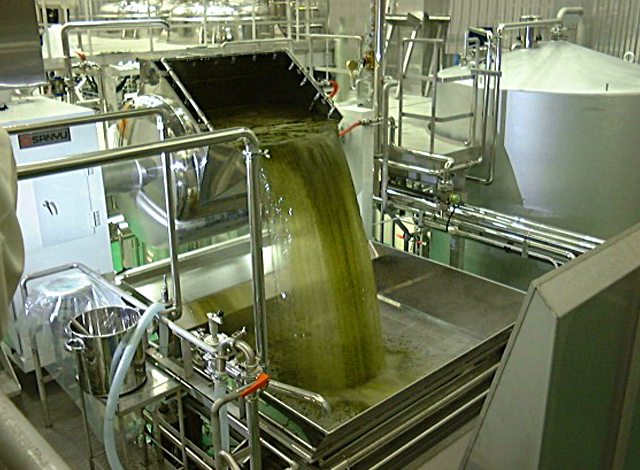 From organic waste to valuable organic fertilizer by aerobic fermentation. 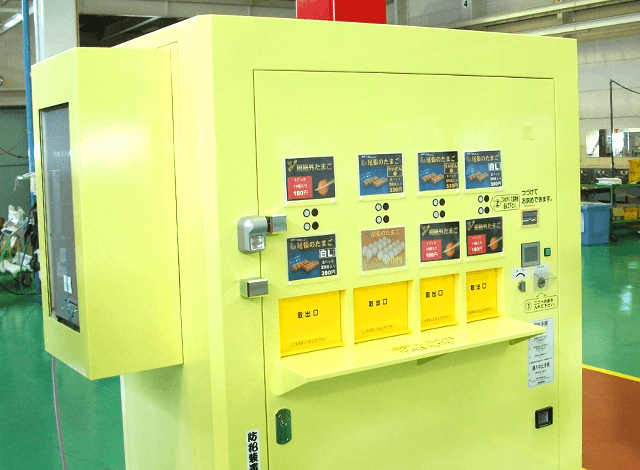 Automatic vending machine for fresh eggs adopting patent pending rotary stock system.